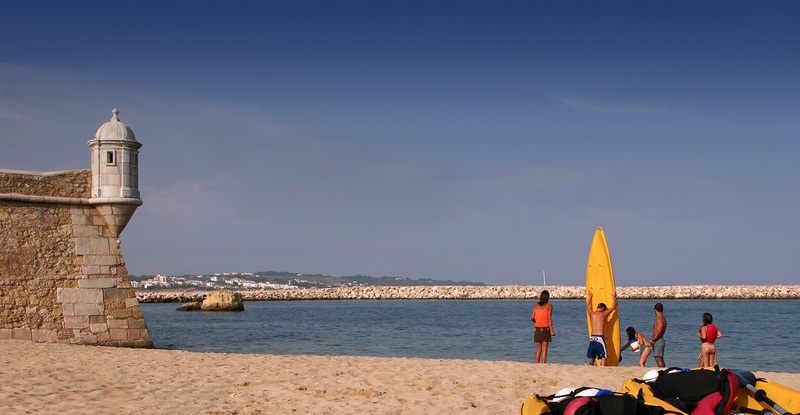 Almost everyone knows the delights of Portugal’s western and central Algarve areas but the lesser-known Eastern Algarve has its own splendours to offer and is thought of as one of Portugal’s hidden gems. Mostly known as the area stretching between Faro and the Spanish border, the Eastern Algarve is where secluded beaches and sleepy towns combine with trendy restaurants and upmarket ports to create the perfect setting for a quieter but equally enjoyable luxury vacation. Miles of unspoilt sandy beaches, beautiful old towns and hidden lagoons, there is much to see and do here. The historic towns of Faro and Olhao are a wonder to explore. In Faro you will find cobbled streets, fascinating architecture, whitewashed markets, an exceptionally pretty port and an abundance of delightful coffee shops and restaurants where you can sit and watch the world go by. The busy fishing port of Tavira offers hip nightspots and boutique restaurants with a welcoming and happy atmosphere. Barril Beach on Tavira Island is a particularly beautiful spot and further inland you will find the Ria Formosa Natural Reserve which is not to be missed. However you choose to spend your trip to the Eastern Algarve you can be assured of a warm welcome and a relaxing and enjoyable stay in one of our perfectly located luxury private villas.